FOR the third time running the World Twenty20 was an unqualified success. For the first time ever the England limited-overs cricket team was an unqualified success. That England’s only team selection change came because of Jessica Pietersen‘s impatient uterus, shows how every player performed to their capabilities. This differs from all their rivals, except perhaps final opponents Australia. For Sri Lanka, Mahela Jayawardene was the tournament’s top run scorer, but his opening partner Sanath Jayasuriya scored an astonishingly poor 15 runs in six innings, surely forcing him to retire and focus on his political career. Likewise for India, Suresh Raina hit a brilliant hundred against South Africa, but Yusuf Pathan struggled with both bat and ball. And it is India’s failings that highlight the glaring problem set to blight world cricket. The continued success of the World Twenty20 tournament shows that cricket is never better than when competition is at international level. The players care more, the fans care more, raising both skill and intensity levels. India now plays host to the IPL, which, while a very successful and enjoyable tournament, has been left looking overlong and irrelevant alongside the World Twenty20. But the Indian players gave the impression that the IPL mattered more than performing for their national side. This is an ailment that already irreparably afflicts football’s Premier League, with English players, such as Steven Gerrard and Frank Lampard, perennially failing to perform internationally as they do at domestic level and foreign players only playing for money and the perceived glamour. Yet the cricketing authorities seem determined to make Twenty20 an ever-more domestic game. Fresh from the IPL and the World Twenty20, the shortest form of the game now goes straight into the English domestic competition, with Sussex and Somerset kicking things off on June 1 in a repeat of last year’s final. The Twenty20 Cup has already been revamped and expanded this season (so much so that it is not called the Twenty20 Cup anymore), with teams allowed to register four overseas players and field two and the number of group games increasing from 10 to 16. Adam Gilchrist, Shahid Afridi, Brendon McCullum and Herschelle Gibbs are among world cricket’s luminaries heading to English shores for the competition. 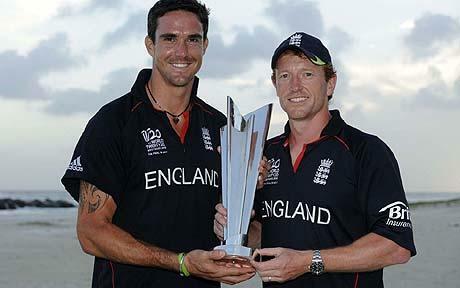 2011 will see no Twenty20 World Cup and an ICC cap of just seven 20-over internationals per side. But it will see two new franchises added to the IPL and potentially, and most damaging, an even bigger domestic competition in England. Earlier this month ECB chairman Giles Clarke officially complained to his Indian counterparts that IPL chairman Lalit Modi was trying to lure English counties to breakaway and form an English IPL. Yorkshire chief executive Stewart Regan, Warwickshire chief executive Colin Povey and Lancashire committee member David Hodgkiss were the three county representatives present at the meeting in Delhi where Modi is alleged to have made the offer. It is a proposal that would see nine teams (or “franchises”) created, most probably at the nine test-playing grounds, and would work along similar lines to the IPL, with the counties guaranteed $3-5m a year plus a $1.5m staging fee. If national boards opposed the league, players could be convinced to revolt and seek the bigger salaries of domestic Twenty20. Although all three men denied that this idea was the purpose of their meeting, Yorkshire chairman Colin Graves admitted that he would be interested were such a proposition ever presented to him. He said: “We have not been guaranteed anything, but if anybody puts anything on the table we will discuss it. “We have nine test grounds and only seven tests a year. We have to find ways to fill these grounds outside the England team. “The nine test grounds are united in the belief we cannot allow the status quo to continue. “There is no future in us creating another Twenty20 competition for all 18 counties. This idea is, frankly, ludicrous. English cricket is still pissed off that it invented Twenty20, but then saw India turn it into the cash-creating behemoth that it now is and has been seeking atonement ever since. This does not mean that there is space in the either the global cricket calender or the English summer’s small weather-window for another large-scale, franchise-based, 20-over competition. And it definitely does not mean that there is any desire in this country, where test cricket is still king, for a summer-dominating, domestic tournament. Despite being the game’s main source of income outside of the tests, Twenty20 Cup crowds have decreased in recent seasons, although England’s success and the big-name players will be expected to boost attendances this year. Cricket has just another compelling staging of possibly its most successful tournament. But some within the game seem determine to ruin it.